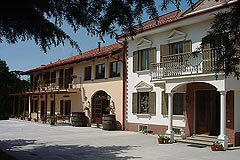 (ref: 6780)- Here's a great opportunity to buy an existing B&B, rental business in the beautiful Asti area of Piemonte Italy.. Piedmont Properties in Piemonte. Property for sale Langhe and Piemonte. Map for Property ref: 6780, Business for sale in Piemonte - Here's a great opportunity to buy an existing B&B, rental business in the beautiful Asti area of Piemonte Italy.